WASHINGTON (CNS) — A Pew Research Center survey found that the main reason Americans attend worship services is to feel closer to God, but those who do not regularly attend worship services have a wider variety of motivations. Of those who attend religious services at least once or twice a month, 81 percent said becoming closer to God is a very important reason they do so, according to survey results released Aug. 1. Other reasons given by over 65 percent of respondents include: so that their children will have a moral foundation, to make them better people and for comfort in times of trouble and sorrow. Other reasons are less common. Only 37 percent said continuing their family’s religious traditions is a very important reason. Feeling a religious obligation is cited as a very important reason by 31 percent, meeting new people and socializing by 19 percent, and pleasing family by 16 percent. Fifty-nine percent of people who attend religious services at least once or twice a month said that finding the sermons valuable was a very important reason they attended, but Protestants were more likely to cite this as a reason than Catholics. For 71 percent of Protestants, the value of the sermons was very important, but only 36 percent of Catholics said the same. 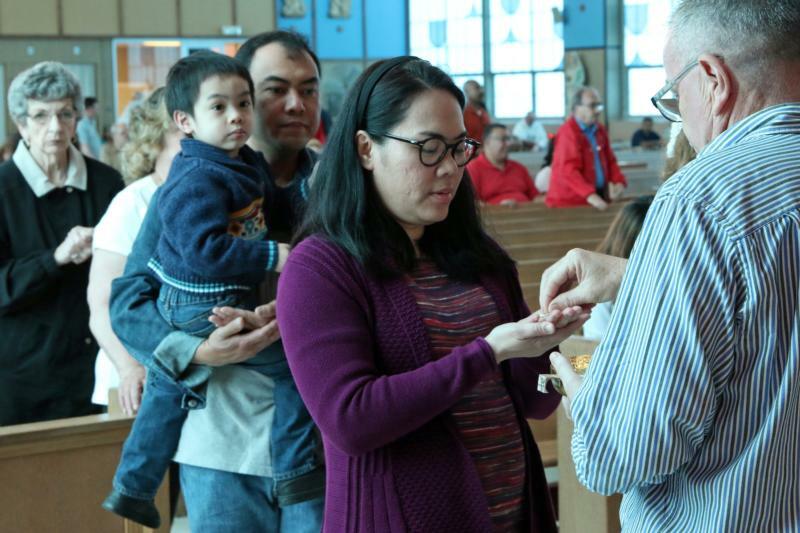 When at religious services, 80 percent said they always or often feel a sense of God’s presence, 73 percent said the same about a sense of community, and 60 percent said the same about a connection to a tradition. Women were more likely than men to have these feelings, and older people are more likely than younger people to feel this way. Sixty-one percent of those who attend religious services at least once or twice a month said that becoming closer to God is the most important reason they attend. No other answer was given as the most important by more than 8 percent of people. To be a better person was cited by 8 percent, and to be a part of a community of faith was cited by 6 percent. Among those who attend religious services a few times a year or less, 37 percent cited practicing their faith in other ways as a very important reason for sparse attendance at formal services, and 23 percent said they have found a house of worship they like. Interestingly, the survey found that those who do not attend religious services because they practice their faith in other ways were less likely to be part of various community, charitable and social groups than those who attend religious services regularly. Fifty percent of those who said they practiced their faith in other ways were active in at least one organization of this type, compared to 63 percent of regular attenders. Twenty-eight percent said that their lack of belief is a very important reason they do not attend more often. Those Americans who gave reasons other than a lack of belief for not attending worship services are still rather religious. About seven in 10 identified with a religion and most said that religion is either very or somewhat important to them. The report also indicated that Americans who do not attend religious services due to a lack of belief are more likely to be younger, highly educated, male and Democrat-leaning than the average American. The age and political differences are particularly pronounced. While 55 percent of those who attend at least monthly are over 50, only 34 percent of those who rarely or never attend due to a lack of belief are over 50. Of those who attend services at least monthly, 45 percent identify as Democrats or lean Democratic, but 75 percent of those who rarely or never attend due to a lack of belief identify themselves the same way. Data in the survey came from respondents on the Pew Research Center’s American Trends Panel, a nationally representative panel of randomly selected U.S. adults recruited from landline and cellphone random-digit-dial surveys. Panelists participate via monthly self-administered web surveys. Those without internet access are provided with a tablet and wireless internet connection. Panel members were surveyed for this report Dec. 4 to Dec. 18, 2017. The margin of error for the full sample of 4,729 respondents is plus or minus 2.3 percentage points. Editor’s Note: The full report on this survey — “Why Americans Go (and Don’t Go) to Religious Services” — can be found here.